Thank you sir for providing me some time to speak on this motion moved by Hon. 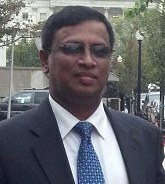 Ravi Karunanayake. This is a timely motion that’s being brought to the Parliament, reminding us all that private members’ motions that are debated and approved must be taken seriously, since they are approved by Parliament. They cease to be labelled a private member’s motion once it is approved by Parliament because it is something the Parliament agrees with, and therefore from that point onwards there must be a seriousness attached to it. The Hon. Member has suggested that the Cabinet of Ministers must sanction them within 6 months and implement those, so that Members of Parliament contribute constructively to various matters that are brought to this Parliament, and this Parliament itself agrees and approves them as being relevant. It is not only private members’ motions that are debated and approved and then forgotten about. There is a general tendency for ministers to give various undertakings on the floor of this House. Then matters deteriorate; those assurances are not respected. I’d like to mention two examples of this that is happening right at this moment. On the 16th of December last year, the Hon. Leader of the House presented to this House the report of the Lessons Learnt and Reconciliation Commission, and at the time of placing that in this House he made an important statement highlighting the recommendation of demilitarization that is made in the LLRC report. He said action will be taken immediately to ensure that the military engages only in security related matters and not involve themselves in any civilian affairs. Now that was an assurance given by no lesser person than the Leader of the House, not in answer to a question, not prompted by the Opposition, but all on his own accord. Now I can say in this House with responsibility, that contrary to that undertaking, in this week the military in Jaffna particularly, is involved in large scale land grabbing. We have seen this in the newspapers and I am personally aware, that in areas like Nallur, Kondavil, and many other places, the military has been visiting peoples’ private residences, asking for their deeds; telling them to come to the army camp. This happened two days ago, on Wednesday. They summoned people to an Army Camp, took them in their own vehicle to the Divisional Secretary’s office, and told them that the military has decided to take over some of those lands and that they are not to step into their own land. Fortunately the officers of the Divisional Secretary’s office did not go along with that suggestion, and have said that these are private lands and that they can’t survey them and hand them over to the military. But this is happening. This is happening in broad daylight. This is happening in a way that grates the feelings of the people there. This is happening contrary to the undertaking given in this House by the Leader of the House. The second example that I want to draw is an assurance given in this House on the 21st of October last year by the Minister of Economic Development with regard to persons who have been displaced from the village of Sampur. At an adjournment debate when this issue was raised by my Party Leader the Hon. Minister rose and gave an undertaking saying that apart from the land that is required for the coal power plant, people will be resettled in the rest of the lands. Now an area has been demarcated and agreed upon as to where the coal power plant will be situated – that’s about 500 acres of land. Not even one house falls within that area – we have examined the maps. And so nobody will be displaced as a result of that Indian coal power plant coming up there. But on the 17th of May, action has been taken to demarcate another 508 acres as BOI (Board of Investment) land and to exclude people from entering that area. Now this is wholly contrary to that assurance given to this House by a responsible Minister on the 21st of October last year. Even after that minister gave that undertaking a question was asked of him: Why then are the people being forced to go to alternate places? His reply was: No, they don’t have to go to alternate places, they can remain there. But by December last year, pressure was brought on them. They were told that if they did not go to alternate places their food supply will be cut short, and from December last year no dry rations have been given to them in the various welfare centers that they are located in now. So, enormous pressure is being brought by officials despite assurances to the contrary that are given in this House. Similar to the private members’ motions being approved by Parliament which are not implemented, I wish to draw the government’s attention to the fact that when Ministers give assurances in this House those must be taken very seriously. There is a general decay. Parliament is increasingly becoming irrelevant. We must stop that tide. We can’t allow that to happen. If ministers who are responsible for subjects stand up and give an assurance we take that assurance. We take their word for it, because those assurances are not just made on public platforms or election platforms, those are given in this House, and there is sanctity attached to that. I would like to urge the Hon. Ministers that when they give those assurances, that they should also follow it up and see that no countermanding orders are given by other persons; that the government must be theirs. If a subject has been assigned to them they must be in full control of that subject. They mustn’t allow brothers and sisters and family members, whoever they may be, to countermand the orders of the ministers, and the assurances that the ministers give in this House.